Humboldt is known for pumping out some of the best cannabis, feminized seeds and other cannabis products in the world, and has been known in that way since cannabis first started spreading across the country. The fertile lands, the perfect climate, and the farmers who are committed to the plant make Humboldt a unique place in and of itself. New laws and regulations from the legal industry now may bring a hinderance to this mass-production area. From to licensing limits to outrageous fines for those who don’t comply, the state is not taking it easy on Humboldt county and the rest of the Emerald Triangle. There a currently thousands of private market farms in the Emerald Triangle trying to figure out their next move. With barely more than 600 licenses up for grabs, it’s become a competition of luck and money to see who can get regulated in the legal market in time. As all the new legal regulations for California took effect in July, those who are not on top of this are already in trouble. Those who haven’t gotten licenses or shut down their operations after 30 days of notice can be fined heavily — upwards of $30,000 — just for the initial fine. Those who continue to avoid regulations will be fined additionally for each day after the original 30 days that they do not comply. Suffice to say, a lot of people are going to lose a lot of money. Humboldt cannabis growers have a long battle ahead of them. Those that do not agree with the new laws can fight it as long as they can, most likely going broke in the process. Those who got a head start already have their licenses, and these farmers are poised to flood the legal market with legal Humboldt cannabis soon enough. Get on board or get out? A lot of private Humboldt cannabis farmers will be forced out of the legal market simply due to the high costs. Local, craft farmers won’t be able to front the massive fees to get regulated before getting hit with more fines. This has some worried that only those with the most money will move on, making the legal industry in California pay-to-play. This is already opening the door for larger companies to come in and buy up land and licenses before smaller businesses get the chance. This power-grab from big players could have negative consequences, most notably a commercialized market with a focus on profit instead of producing a healthful and safe product for the consumer. Chip lived in Humboldt for years, and has steadily watched and studied the evolving industry in the state of California. 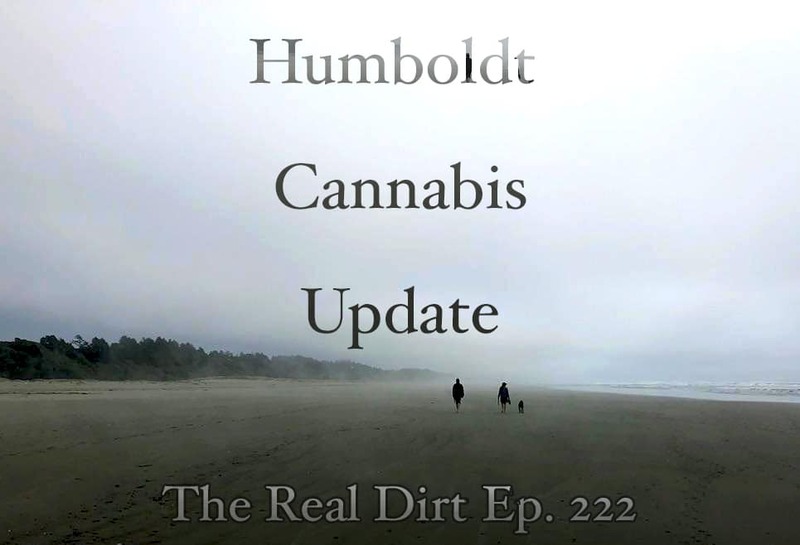 Hear what Chip thinks about the current state of things in Humboldt and California on this week’s episode of The Real Dirt!